Many of the staff you meet on the trains and see working on the line are volunteers. They may also be enjoying a holiday in Wales, simply having a day off from their 'normal jobs' or using their retirement to come and help the railway. 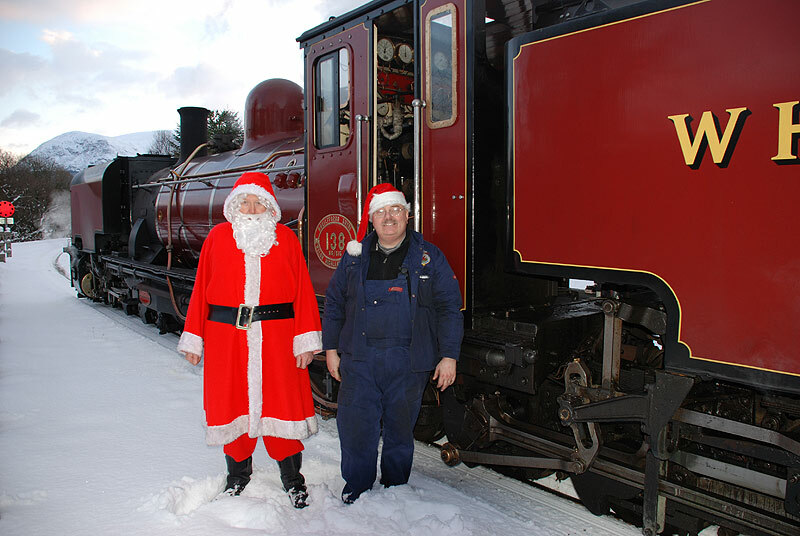 Many volunteers are also members of the Ffestiniog Railway Society or the Welsh Highland Railway Society. In addition to the usual range of activities, volunteers are closely involved in helping with the organising and running of the annual beer festival, shows, events and our Santa Trains - followed by a get-together after work to relax and share a meal or a drink in one of the local pubs. The railway social life partly revolves round meeting friends in the evening whilst talking through the events of the day and the latest in hot railway gossip, or politics. Because the railway is away from major conurbations, the majority of volunteers stay in the area whilst they are working so there is usually someone to share a meal or have a drink with. Many staff and volunteers enjoy using the railway's own very popular 'Spooner's Café & Bar' - situated in the old goods shed at Porthmadog Harbour Station. A good evening meal can also be obtained here as well as a wide range of guest draft beers. There is a wide choice of other pubs and restaurants, take-aways, fish and chip shops etc. in the locality of the two railways and colleagues will be able to advise you which ones give value for money and offer the best choice for your needs. Evening trains are run from time to time as social events for staff and friends and with the buffet car open and often food available, these are always popular. There is a wide social mix of volunteers. New arrivals soon feel part of the railway family. Friendships made whilst volunteering on the railway are long-lasting and many railway romances have later led to marriage! Some 'railway' families are now bringing along the third generation of volunteers, who seem just as keen as Grandad and Grandma ever were! The railway has high-quality hostel accommodation available at £5.50 per night. 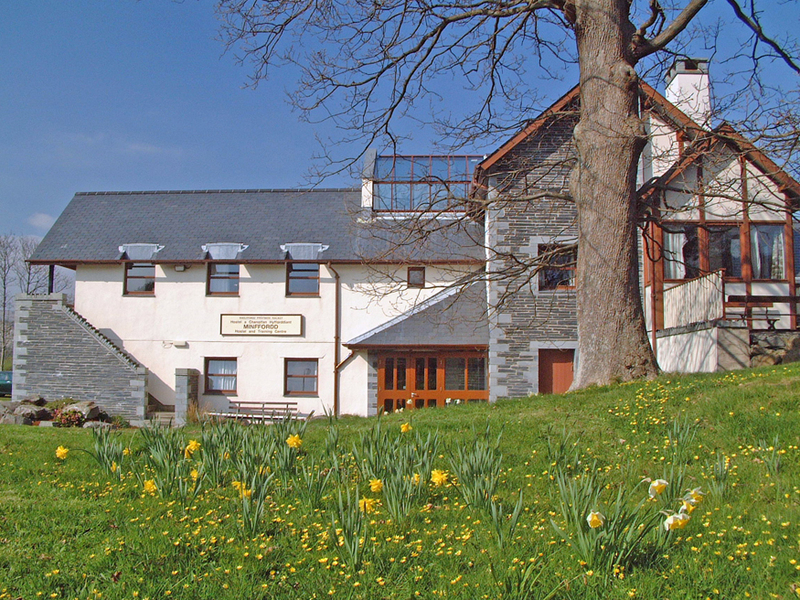 (Society Member's rate: £4.00 per night - reducing to £3.00 per night after 20 nights). This accommodation is booked via the Ffestiniog Railway Society. If you are coming for the first time to volunteer, our volunteer co-ordinator will assist you in contacting the relevant person. We are happy to welcome groups of people as volunteers. These come for many purposes. Companies and colleges have sent parties to practice their skills or for team building exercises. Youth Groups arrive with the aim of making progress towards their Duke of Edinburgh award or similar. 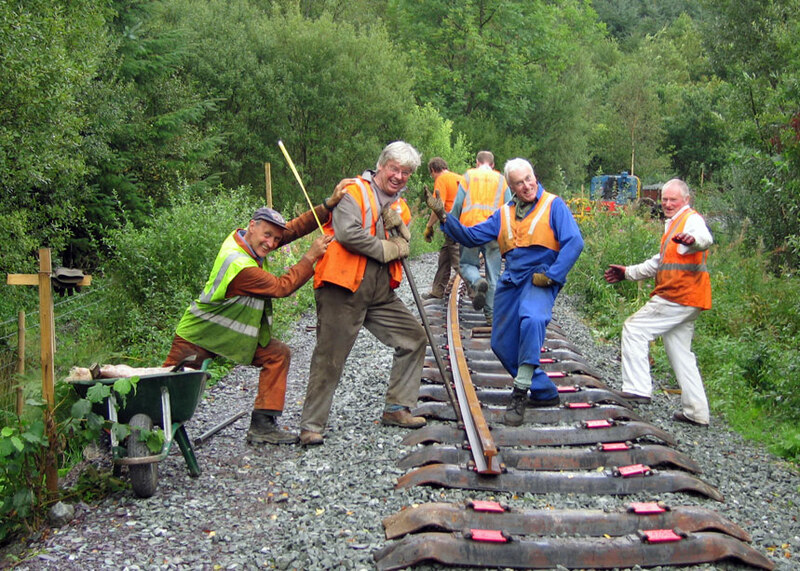 There does not have to be a specific reason to bring a team along, however, most come along simply to enjoy working on the Railway. Tracklaying gang hard at work! The pinnacle of volunteering - Santa!